"Despite significant interest around cutting edge technologies, the older, less expensive drugs work very effectively in many cases"
Opinion: the HSE has almost exhausted their 2019 funding for new drugs, so how can we ensure patients still get the cutting-edge treatment they need? Scientific sophistication has enabled us to live longer, healthier lives. However, like all things in life, nothing comes free: the levy placed on living longer is the risk of developing health issues such as cancer or cardiovascular disease. Recent estimates in the Journal of Health Economics put the cost of developing a new drug at $2.8bn. This represents the cost of employing some of the world’s brightest minds and completing various safety checks prior to a drugs approval. It can take eight years or more before a new medicine reaches the market. This cost trickles down to our health systems - and they are beginning to buckle under pressure. For most of us when we get sick, we see the doctor who writes us a prescription, pop into the pharmacist and pay around €20 to get our medicines. However, some drugs for conditions like cancer could cost thousands. It would be unreasonable to expect people to pay this so the government has to subsidise the cost. The HSE have a finite budget each year to subsidise these expensive medicines as they are developed, and this year they have almost run out of money already. This is not the first time a national health system has shown the strains of funding new therapies, the NHS have made the news multiple times over the last number of years for refusing to fund these therapies due to an unjustifiable cost-effectiveness ratio. However, there may be some other ways to reduce the financial burden on our health system. Despite significant interest around cutting edge technologies, the older, less expensive drugs work very effectively in many cases and could be made even better by combining them or tailoring the dosage precisely to the patient. Although there is some scope for this currently, it can be difficult to find the right balance between side-effects and benefit. 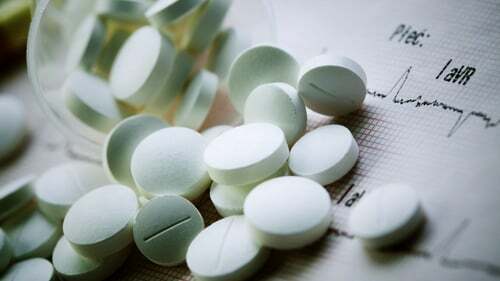 For example, it was recently suggested that the one-size fits all approach for aspirin (one of the world’s most widely used medicines) could be ineffective and that dosing should be tailored for a patient’s weight. How do you treat a patient who has been stripped of their livelihood by a disease? For some medicines it could be challenging to achieve precise doses through conventional methods, but the latest techniques in 3D printing could provide an answer. 3D printing enables researchers to print tablets and medical devices of various shapes and sizes to enable drug delivery. The flexibility of this equipment allows for precise tailoring of a dose within a few minutes for immediate dispensing. Although scientific journals are booming with the idea that there could be a 3D printer in every pharmacy, the statutory instruments haven’t quite kept pace with innovation. When a drug is manufactured in the pharmaceutical industry, it must go through a number of regulatory checks (with expensive equipment!) to prove that the drug is what it says on the label, that it is pure and the correct strength. The main drawback of 3D printing is that it would place the entire regulatory burden on the pharmacist, a mammoth task. However, analysts suggest that a hub-and-spoke model is the pharmacy of the future. With this model, prescriptions are sent electronically from the prescriber to a hub pharmacy with this validation equipment. Then medicines are delivered to the spokes in each of the local communities so that pharmacists can interact with patient at point of supply. Another approach to achieve cost-effectiveness follows the adage that "one ounce of prevention better than a pound of cure." A famous paper written by Nicholas Wald in the British Medical Journal in 2003 argued that we could extend the life expectancy of a third of the population by 12 years if we gave every person over 55 or everyone with cardiovascular disease a PolyPill. This is not a new concept in medicine; a PolyPill is a tablet or capsule that contains more than one drug. Anyone who has taken a multivitamin or a cold and flu remedy has taken a PolyPill. Wald’s PolyPill would cost around €180 per patient annually and could help alleviate the financial burdens faced by our healthcare systems by reducing the rates of heart attacks and strokes by up to 80%. Repacking medicines in this way could also raise the threshold before more expensive treatments are required, potentially allowing more money to be put aside for the patients who need the latest medicine. This is not a perfect solution, however, as mass treatment of the population would put some individuals at risk of harm. From this, it’s clear that healthcare professionals are faced with an almost impossible challenge. How do you treat a patient who has been stripped of their livelihood by a disease? Do we pay the designer prices or should we take a conservative approach so that we have enough money to treat the next person who walks into the clinic? Perhaps new approaches are warranted as the status quo is proving to be financially unviable. Oisín Kavanagh is a pharmacist and PhD researcher with the Synthesis and Solid State Pharmaceutical Centre (SSPC), the SFI Pharmaceutical Research Centre, at the University of Limerick.